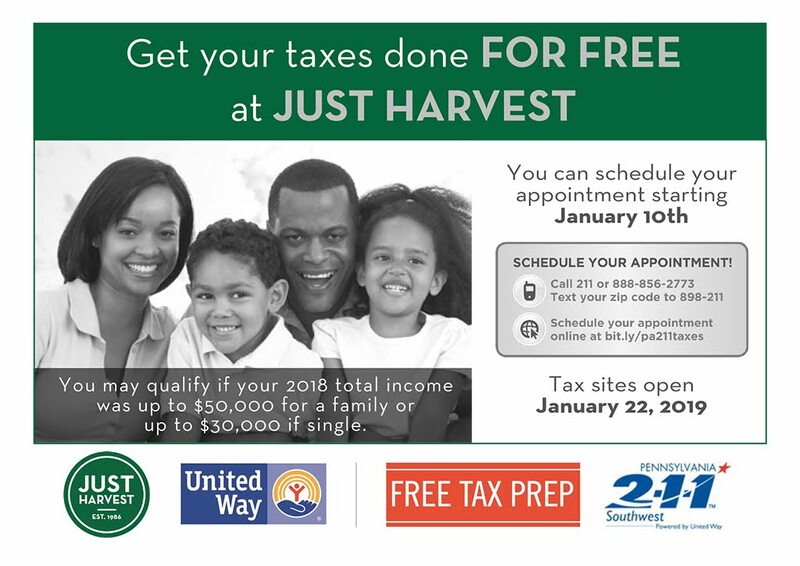 Just Harvest is a lead partner in the United Way of Allegheny County’s Free Tax Preparation Coalition, which provides free income tax return preparation throughout the county. Every year Just Harvest helps low-income households file their income tax return and maximize their tax refund. 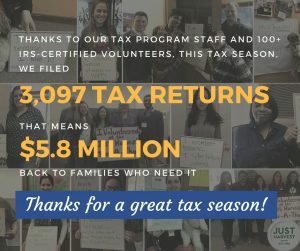 Launched in 2003, Just Harvest’s free IRS-certified tax return preparation service, available at four Volunteer Income Tax Assistance sites in Allegheny County, is now one of the largest in the entire state. Many low-income people are eligible for tax credits and other refunds when they file their yearly tax return. For example, the Earned Income Tax Credit (EITC) is one of the nation’s largest anti-poverty programs, and can increase a family’s annual income by as much as 45 percent. In 2014, the EITC brought over $167 million to 80,161 Allegheny County families. Unfortunately, many people do not know about the tax credits they are entitled to, or they lose much of the refunds to commercial tax preparers in preparation fees and advance refund loans. 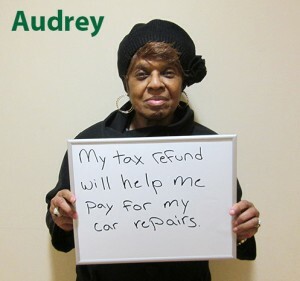 We are committed to the idea that tax refund money should be kept by low-income workers and their families, not swallowed up by tax preparation fees. 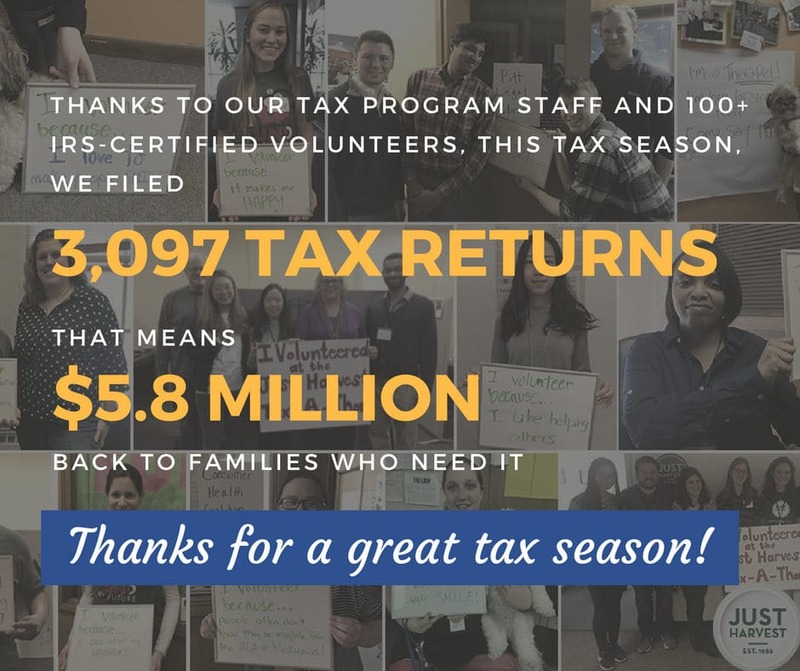 In the 2017 tax season, we completed over 2,900 returns and refunded more than $6 million to low-income families! Of this, around $2.8 million was in EITC and $1.8 million was in Child Care Tax Credits. This fantastic work was made possible by 98 volunteers donating nearly 5,700 hours of service. For those served, these tax refunds helped put food on the table, pay off debt, make rent or mortgage payments, and pay for heat and electricity during Pittsburgh’s winter months. Call United Way Resource Navigators by dialing 2-1-1 or 888-553-5778. We will have foreign-language interpretation services available at our South Side site. Schedule a foreign-language tax appointment by dialing 2-1-1.